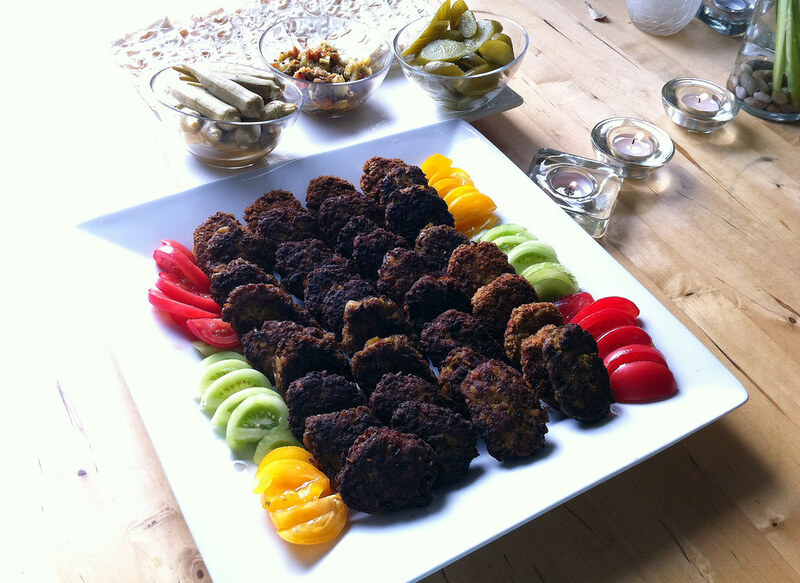 Kotlet, or Persian minced meat and potato croquettes, are an ubiquitous picnic meal in Iranian households. Growing up, I’d look forward to these in warm lavash sandwiches for lunch and now that I’m older, I prepare them as an appetizer or light meal. Kotlet are easy to make and can be frozen for reheating later on. Serve these with pickled vegetables and sliced tomatoes, or simply on their own. Lightly spiced and crispy on the outside, it’s nearly impossible to eat just one kotlet. 1. In a bowl, combine meat, onion, eggs, potato, salt, pepper, coriander, cumin, saffron water, and turmeric. Knead for 5 minutes to form a smooth mixture. 2. Using damp hands, shape the meat mixture into lumps the size of eggs. Flatten them into oval patties. Brown the patties on both side in hot oil over medium heat until browned on each side and cooked through. Add more oil if necessary. 3. Arrange the patties on a serving platter. Serve with tomatoes, pickles, and lavash bread.